1. Secondary School (equivalent of the 6th Form) - Sept.1969 – June1979 - Secondary School in Batumi (Georgia) Particulars: Usual set of subjects and exams for Russian secondary school. Top markings achieved in mathematics, physics, chemistry, Russian language and literature, biology, etc. Average mark of the 6th Form Diploma – 4.75 (of maximum 5), equivalent of A-grade in the UK. 2. Trade College - Sept.1979 – Aug.1980 - Degree: Diploma of milling-machine operator. Trade College – 42, St.-Petersburg (Russia) Particulars: Average mark of the Diploma – 5 (of maximum 5). Therefore, a permission to apply for a University course. 3. St-Petersburg State University (undergraduate student) - Sept.1980 – June1985 - Degree: MSc, Entomology and Zoology; “Spiders (Araneae) of Azerbaijan, the Caucasus”. Entomology Department, Faculty of Biological and Soil Sciences of the St.-Petersburg State University. Altogether 65 subjects; the special subjects covered were: e.g. general entomology, medical entomology, forest and agriculture entomology, physiology of insects, social insects, etc. All the special exams were passed with top markings. 4. Institute for Systematics and Ecology of Animals (postgraduate student) - Sept.1988 – Sept.1992 - Degree: PhD, Entomology; “The jumping spiders (Araneae: Salticidae) of northern Asia”. The Siberian Zoological Museum, Institute for Systematics and Ecology of Animals SB RAN Top markings achieved in the three compulsory exams: philosophy, the English, and Entomology. MA in Art Galleries and Museum Studies (July 2008), University of Manchester, UK; thesis “The context and qualities of natural history specimens”. Also: methods of field collecting of invertebrates; extended fieldwork experience; some experience in the methods of lab rearing of insects (e.g. lice) and in monitoring forest insect pests. Curator of Arthropods, The Manchester Museum, The University of Manchester, Oxford Road, Manchester M13 9PL, UK. Major duties: stewardship of the MM’s Arthropoda collections and making it accessible to various users; undertaking own research on spiders; supervision for subordinate staff and volunteers; giving public talks in the field of Entomology, Taxonomy and Museology; supervising final year student projects; teaching during field courses in liaison with the Faculty of Life Sciences; contributing to Manchester Museum’s education and exhibition programmes; etc. 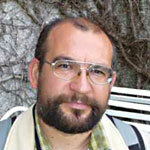 1996-2001 Senior Research Scientist and the Curator of the Arachnida collection, Siberian Zoological Museum, Institute for Systematics and Ecology of Animals, Novosibirsk, Russia. Major duties: managing and developing the Arachnida collections (other than Acari) of the Siberian Zoological Museum; undertaking own research programme; supervising MSc and PhD students (6 students); organization and performing of field trips related to own research (e.g. to Siberia, the Far East, Central Asia and the Caucasus); and time to time giving oral presentations at different levels. 1992-1996 Junior Research Scientist, Siberian Zoological Museum, Institute for Systematics and Ecology of Animals), Novosibirsk, Russia. Major duties: managing and developing the Araneae collection; performing own research programme and providing access to the Araneae collection. 1988-1992 PhD Student, Siberian Zoological Museum, Institute for Systematics and Ecology of Animals (former Biological Institute), Novosibirsk, Russia. Major duties: Preparing a PhD thesis and managing the Araneae collection. 1985-1988 Junior Research Scientist, Institute of Molecular Biology, Koltsovo, Novosibirsk, Russia. Major duties: maintaining of lab populations of some insects (e.g. lice, mosquites), field and laboratory studies on forest pests (e.g. the gypsy moth). •	Teaching and marking on 3 residential field courses in the UK: Habitat Ecology and Biodiversity in Kindrogan (x 2) and Slapton Lay (x 1). •	Supervising of final year projects: 4 students in Tomsk and Barnaul Universities (Novosibirsk, Russia), and 6 students from the Faculty of Life Sciences (Manchester) during the last three years. •	Pre-Field Practicals for 1st year students. •	The fieldcourse “Urban Biodiversity”, 2nd year students. •	Marking of final year projects of undergraduate students from the Faculty of Life Sciences. •	Regular public talks and various events on insects and spiders in the Manchester Museum. •	A referee for numerous academic and professional journals (don’t remember all cases): Acta Zoologica Bulgarica, Bulgaria (4); Acta Zoologica Hungarica, Hungary (2); Arthropoda Selecta, Russia (ca 25); Bulletin of the British arachnological Society, UK (7-8); Eurasian Journal of Entomology, Russia (5); Journal of Arachnology, USA (4); Journal of Natural History, UK (3-4); Genus, Poland (3); Memoirs of the Queensland Museum, Australia (2); Review Arachnologique, France (1); The Raffles Bulletin of Zoology, Singapore (2-3); Senckenbergiana Biologica, Germany (1); Zoological Journal, Russia (1); ZooKeys, Bulgaria (2); Zootaxa, New Zealand (12); and others. •	A referee for some foundation bodies, e.g. the Levenshulme Trust (London; the application on a comparative morphology study of mites), and the Natural Sciences and Engineering Research Council of Canada (Ottawa; the application on biodiversity benchmarks and barometers of arachnids during the International Polar Year). - 2002-present time: A Fellow of the Linnean Society of London (UK) (member). - 2003-present time: The Royal Entomological Society (UK) (member). - 2000-present time: a member of the editorial board of the international journal “Arthropoda Selecta”. - 15th European Colloquium of Arachnology, 11-15th July 1994, Ceske Budejovice, Czech Republic (poster: The genus Mogrus (Araneae, Salticidae) of Central Asia). - 16th European Colloquium of Arachnology, 8-13th July 1996, Siedlce, Poland (oral presentation: Distributional patterns of the N-Asian jumping spiders; poster: The genus Menemerus in Central Asia). - 14th International Congress of Arachnology and 22nd annual meeting of the American Arachnological Society, 27th June - 3rd July 1998, Chicago, U.S.A. (poster: Redefintions of the salticid genera Marpissa and Mendoza). - 19th European Colloquium of Arachnology, 16th-23rd July 2000, Aarhus, Denmark (poster: The current status of the knowledge on the Salticidae of northern Asia). - International Symposium on the Kuril Island Biodiversity, 18th-22nd May 2001, Sapporo, Japan (poster: Biodiversity of the jumping spiders (Araneae, Salticidae) of the Kuril Islands). - 21st European Colloquium of Arachnology, 4-9th August 2003, St.-Petersburg, Russia (one of the organizing committee and the editor of the Proceedings). - 22nd European Colloquium of Arachnology, 1-6th July 2005, Blagoevgrad, Bulgaria (poster: A critical review of the spider genus Macaroeris Wunderlich, 1992). - 24th European Congress of Arachnology, Bern, Switzerland, 25-29th August 2008 (poster: Vladimir Wagner and his contribution to arachnology). - 25th European Congress of Arachnology, Alexandroupolis, Greece, 15th-21st August 2009 (poster: Male dwarfism in the burrowing wolf spiders (Araneae, Lycosidae). •	Belgium (The Museum of Central Africa in Tervuren): 1 visit. •	Hungary (The Museum of Natural History in Budapest): 1 visit. •	Finland (Zoological Museum, University of Turku): 5 visits. •	Poland (Siedlce, Warsaw and Wroclaw): 3 visits. •	Switzerland (The Museum of Natural History in Geneva): 1 visit. •	Sweden (The Natural History Museum in Stockholm): 2 visits. •	UK (The Natural History Museum in London & The Hope Entomological Collection in Oxford): many visits. I have organized and/or undertaken numerous fieldworks and expeditions to Siberia (Tuva, 1989, 1990, 1991, 1993, 1995; Novosibirsk Area, 1986, 1987; the Altai, 1999, 2000, 2009; Buryatia, 2001; Chita Area, 1990; Magadan Area, 2003; Khabarovsk Territory, 1987, 2004, etc. ), Central Asia (Turkmenistan, 1993; Kazakhstan and Uzbekistan, 1985, 1988, 1989, 2007), and the Caucasus (Azerbaijan, 1983, 1984; Georgia, 1988), and others. The research of mine are mostly devoted to the spider families Salticidae, Thomisidae and Philodromidae and covers a broad spectrum of problems ranged from descriptions of new taxa and biodiversity surveys of poorly known or unknown spider faunas to comparative-morphological studies of the copulatory organs of Salticidae in order to resolve a taxonomic position of the family in the so-called RTA-clade, which is not clear yet. My current research include: (1) a comparative-morphological study of the trichobotrial bases and tarsal organs in a wide range of salticid genera, which will address the problem of higher classification of the family; (2) a taxonomic revision of the Central Asian and Mediterranean Salicidae; and (3) a study of the detailed structure of the copulatory organs of Lyssomanes (the large Neotropical genus), which should reflect the ground-plan of the entire family and hence should be important for resolving of the phylogenetic trends in the evolution of the salticid genitalia. 135 papers on the systematics, taxonomy and comparative morphology of the genitalia of various groups of spiders (Araneae), particularly of the jumping spiders, Salticidae; also a number of popular articles written for the journal ‘Biological Sciences Reviews’ run by the University of Manchester. collection datasets, included by himself! Catalogue of the jumping spiders of northern Asia (Arachnida, Araneae, Salticidae). Editor K. G. MIKHAILOV. : 299 pp., Moscow, KMK Scientific Press Ltd.
A revision of the genus Yllenus SIMON, 1868 (Arachnida, Araneae, Salticidae). : 167 pp., Moscow, KMK Scientific Press Ltd.